Baba Commandant & The Mandingo Band hail from Ouagadougou, the capital of landlocked African nation Burkina Faso. Fans of modern afrobeat need to look no further. Influenced by the likes of Fela Kuti, King Sunny Adé and Moussa Doumbia, Baba Commandant plays an instrument associated with traditional Donso hunters, a six string harp called the donso n’goni. Largely reserved for traditional gatherings and celebrations, this is one of the rare times the instrument has been used in modern recordings. 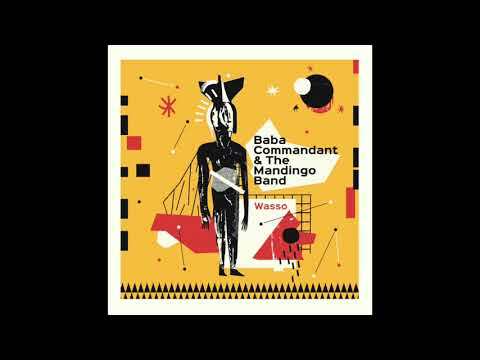 Baba Commandant, whose real name is Sanou Mamadou, merges his various inspirations on the album from Nigerian afrobeat to Malian blues to dub and even to some heavier punk influences. Following up on the release of the band’s 2014 album “Juguya“, Paris-based Mawimbi, a French label and DJ crew who focus on Afro-influenced electronic music, are re-releasing one of the singles from the album, Wasso, with a fresh mixdown and several remixes as well. Our premiere today comes from Toulouse-based producer Mr. Boom (soundcloud) who gives us two different renditions of the original, the afro mix and the broken mix, the latter of which particularly caught our ear. Giving the cut a bit of a more modern, electronic twist, Mr. Boom chooses the grooviest parts of the original, stripping it down while at the same time adding his own percussion with a syncopated rhythm to the composition. The end result? A contemporary crossover tune that’s bound to find its way into the record bags of many a DJ.